Adidas has just announced their latest sports and fitness focused device – the Fit Smart. 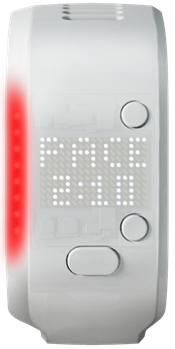 The unit features optical heart rate recognition from your wrist via an embedded Mio optical sensor, while supplementing that data in conjunction with accelerometer data to give you pace and speed when running. That’s all then leveraged by the unit with a light pipe that guides you through workouts based on their smart coaching features. I had a chance a while back to get a brief bit of hands-on time with the Fit Smart, so I’ll give you some first impressions before holding off for my final thoughts later this summer once the unit is finalized and hits stores. Note though my time was extremely limited (just like the lighting in the room), thus there may be caveats (or features) that weren’t yet apparent. Standalone run/walk tracking mode: In this mode you can use it like other running watches, where it’ll use the accelerometer inside it to determine pace/distance. This mode is a bit different than coached mode in that you’re free to do whatever you’d like workout wise with no coaching, but otherwise it still captures all the same metrics. Integrated phone GPS/Fit Smart Mode: In this mode the unit will actually use your phone’s GPS sensor for pace/distance, and then combine that with the heart rate data it gets from the Mio Optical. Thus, you must have your phone on you during this mode (such as in a running arm band). The unit features a ‘light pipe’ along the left side that illuminates green/blue/yellow/red/white to correspond with guidance on whether you’re on target for the given task. For example, if you set a heart rate zone from 140-150bpm, and you’re exceeding that it would be red. Within the coaching mode the unit will allow you to download up to 15 workouts from your phone to the device, which can then be run separately from your phone (so you don’t have to take your phone with you). This is in addition to vibration feedback from the wrist band. And if you have your phone nearby then you’ll also get audio feedback as well (either from the speaker or you could use headphones/Bluetooth headphones). 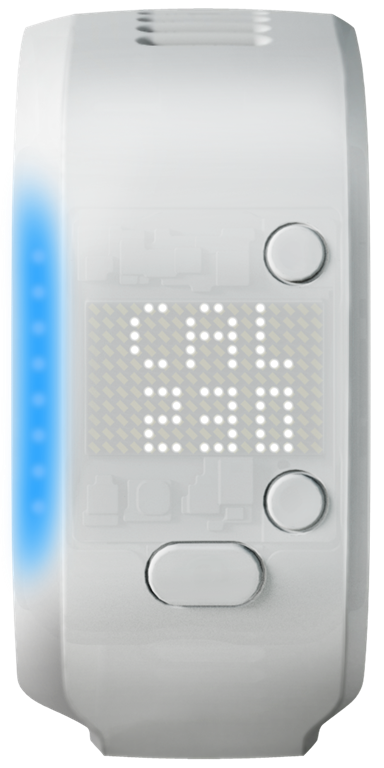 The front of the device has two navigation buttons (smaller ones) for changing the display, while it has a bigger button called the ‘Action button’, for confirming tasks and starting/stopping a workout. The device itself can display Pace, Calories, Time, Distance, and Heart Rate. For distance and pace it can be switched between metric (kilometers) or statute (miles). As noted earlier, for heart rate the unit uses the Mio optical sensor for reading your heart rate optically from your wrist. This is the same sensor as used in the Adidas Smart Run GPS unit (as well as Mio products). You’ll note however that the Fit Smart is a bit wider than Mio’s recent Link unit, which may help ensure cleaner optical heart rate recognition (which can be impacted by outside light impacting the sensor). From a width standpoint, the Smart Run is about 45mm wide, whereas the Fit Smart is 34mm wide (for reference the Mio Link is about 28-29mm). From a battery perspective the unit gets about 5 hours of active use (though it sounds like it can go a bit higher), or about 5 days with upwards of 1 hours per day. The unit can store up to 10 hours of data however. The strap can display time during standby, though a button must be pressed to trigger it. The Fit Smart is charged via a USB cradle. Like most products it uses a cradle/adapter instead of a MicroUSB port to improve waterproofing. During discussions with Adidas about this they noted they are heavily looking at technologies like Nano waterproofing for future products, but that ultimately the integration isn’t yet sustainable for the volumes they’d be trying to produce. Yet, they believe things are getting very close there. Speaking of which, the unit is waterproofed to 3ATM (which translates to roughly 20-meters deep). However, they noted they don’t recommend using it for swimming due to the repetitive pressure (whacking) of your wrist on the water. You’ve got two modes to track distance, either with the phone or without. When using it with the phone you can complete a calibration test using your phone’s GPS for three separate pace ranges (walk/jog/run) which will calibrate the unit to your specific running style. 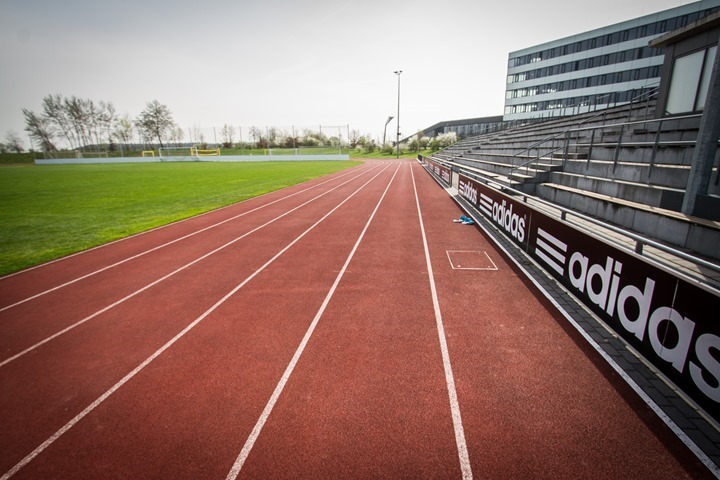 Interestingly when I visited Adidas that day there was a member of the Fit Smart team out on the track with four Fit Smart’s strapped to his wrists testing accuracy of the calibration. In my own testing of other units/companies that use accelerometers for pace and distance I find they are generally between ‘so-so’ accurate and ‘barely acceptable’. I’m interested in seeing where Adidas sits here on this, given how critical it will be for the unit since it lacks a GPS internal to it. The unit is fully dependent on your smartphone for setup and configuration, as well as calibration. The unit is compatible with most major Android OS 4.3 devices, as well as all recent iOS devices that have Bluetooth 4.0 capabilities (iPhone 4S and newer). Adidas has made good strides over the last year in continuing to increase functionality within their apps (iOS/Android/Windows Phone). 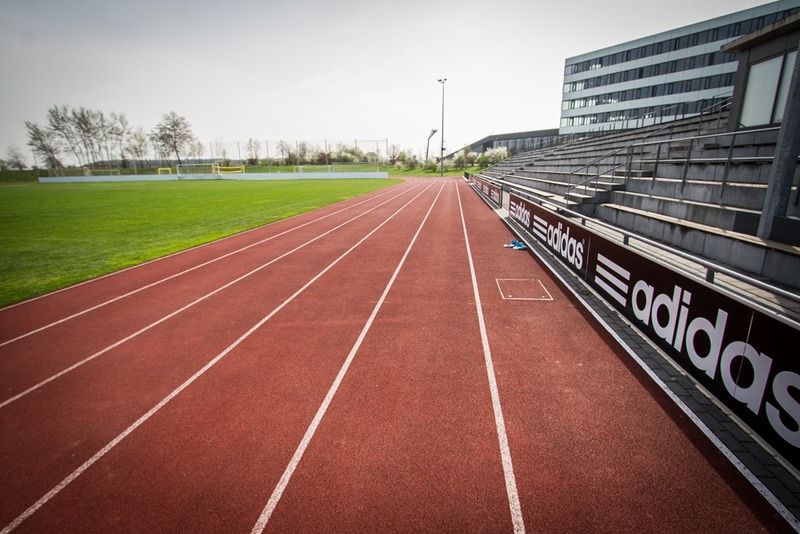 They have clearly become the hub for connectivity between the various devices Adidas is making and the internet. For example, neither the Fit Smart nor the Smart Run GPS will connect to a computer – all depend on a phone (the same with their new soccer ball and various other sensors). This approach largely makes sense given for most people the phone is their hub, however it may limit sales to people with older phones that aren’t compatible (many activity tracker companies ship a USB stick to allow sync with computers). 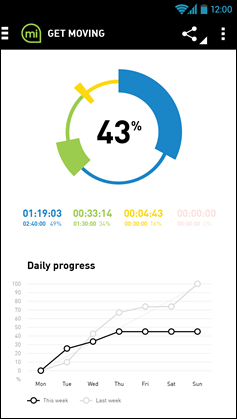 The app will track fitness focused goals and progress towards those goals. However, it’s really important to point out that the device is not an activity tracker. It doesn’t count steps or other non-activity calorie burn or distance. Meaning, it’s not a FitBit or the like. Rather, it’s like the Smart Run GPS without the GPS and music part. 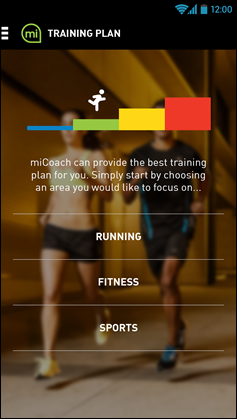 The data from the unit is automatically sent to the Adidas fitness platform called miCoach. 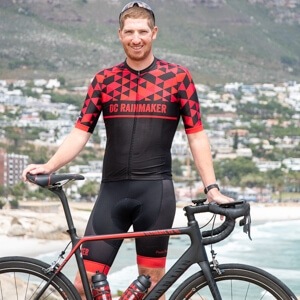 That platform has also seen a number of enhancements, including the ability to export out workout data and upcoming integration to a major fitness site focused on cyclists coming up. Further, they’re working to enable you to import your entire RunKeeper ‘life data’ file exports, essentially allowing full data transportability into the Adidas ecosystem. Further, starting in August they’ll be opening up an API to allow developers to access data in the platform. Even more, they’re considering an SDK down the road for direct access to the device itself – which would be unheard of from any of the major fitness device players (and would be very cool). 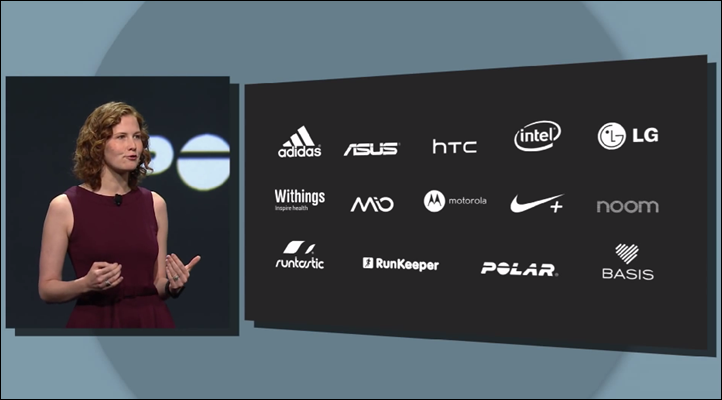 A recent Google I/O Keynote presentation slide has shown Adidas as being part of the Google Fit platform. At this time they’re still working out the details with Google and don’t yet have any specific details to announce. However in my talks with them about the integration between the two platforms they said that they see the Google Fit platform as very ‘non-limiting’ (which is good). This mirrors what I’ve heard from other companies in looking at the difference between Google Fit and Apple Healthkit. When it comes to Fit Smart models, there are two sizes. A smaller size (184mm) and a larger size (207mm), and two ‘colors’, a black as seen in my photos, and a translucent variant. Both will be available in August for $199US. As you can see it’s about twice as wide as a typical activity monitor, and is thus more in line with a GPS watch. The reason for the additional width was to both accommodate the display but also to keep the LED lights from not becoming too blurred if squished together. I like seeing new entrants in this space, especially from major companies that have a strong (and growing) web platform. 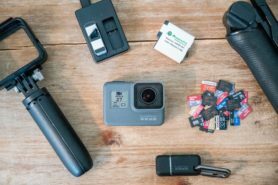 I think that’s often the biggest differentiator between a new device from an unknown Kickstarter company and then a major player – it’s about the platform. Without the platform you end up with just another heart rate monitor or cereal box pedometer. 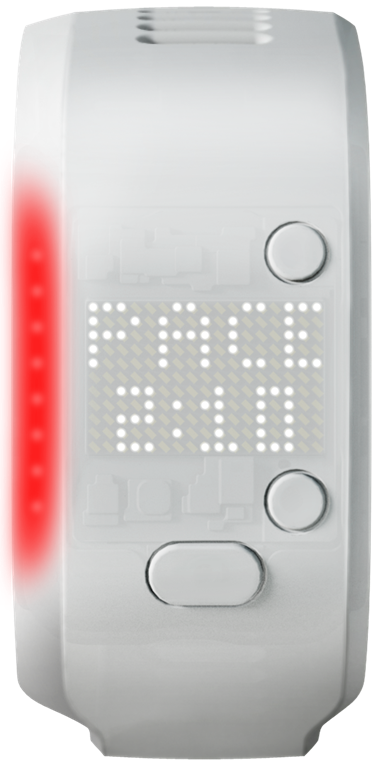 In this case, the device also has the embedded optical heart rate sensor, which is very unique for this segment. Further it has coaching and downloaded workout integration, also unique at this price point. However, that’s where things get a bit tricky: Price. The device is priced at $199US. Which in and of itself isn’t bad. What’s complicated though is that it doesn’t do daily activity monitoring – which many will see as ‘standard issue’ for a wrist based band. Further, since it lacks GPS (common for $100+ fitness watches) you’ll be dependent on the accelerometer in the unit for accuracy. In a lot of ways you could buy a budget GPS watch and an activity monitor for the same price, albeit without the optical heart rate strap – which is no doubt core to the experience here. Thus, I’m actually somewhat undecided on whether consumers (you) will be drawn to the device. If it did activity tracking I think it’d be a slam dunk – but without it, it’s a tough call. With that – thanks for reading, and feel free to drop any questions below. I’ll likely be aiming for a full in-depth review sometime in August once the device is finalized and hits retail availability. Thanks for the thorough preview. It doesn’t sound like it would broadcast any HR data? How the … should I know what kind of bluetooth my phone has? And now I am stuck with the … thing. Really I think is time to send it back ! Because the iPhone 4 doesn’t support Bluetooth Smart (which is Bluetooth 4.0), only the iPhone 4S. This is pretty common for most sport/fitness devices made in the last 12-18 months. Agreed. However there is nothing on their website or on the device packaging that would indicate a limit on the device. Sure, if you read the fineprint somewhere it says something about Bluetooth 4, but it actually says that it requires ios 7, which my iphone 4 has. Manufacturers need to make this clearer. Good luck to ’em, they’re gonna need it. Given the price point, feature set (or lack thereof), and being somewhat late to the party for what it is, I can’t see this thing doing anything but going nowhere so fast it’ll get a speeding ticket. +1…what can I say…apart from yep! It looks nice and it has good ideas. But the lack of basic features and the price, it might be a downer. I’d be very happy if Garmin would release a software update to the Fenix2 so it could be used as an activity tracker. It had everything needed. I had to re-read your preview again, when I saw “It is not a activity tracker”. I thought I missed something….nope. I can’t imagine it would have been too hard to fit in activity tracking? Especially at $199. you were too kind to say it so I will. This is a terrible device…. Any news on the new Fitbit devices with optical HR? I want one of those! I don’t seem to care about the lack of activity tracking. My phone does that, and I got bored of wearing a fitbit. But what does concern me is the lack of GPS. Does this mean you can’t track a route? Is there some integration with a phone? Yes, within the 3rd mode where you use the Adidas Smart Fit in conjunction with the phone then it’ll use the phone’s GPS to both track distance/pace but also a map that can be later viewed on the miCoach website. 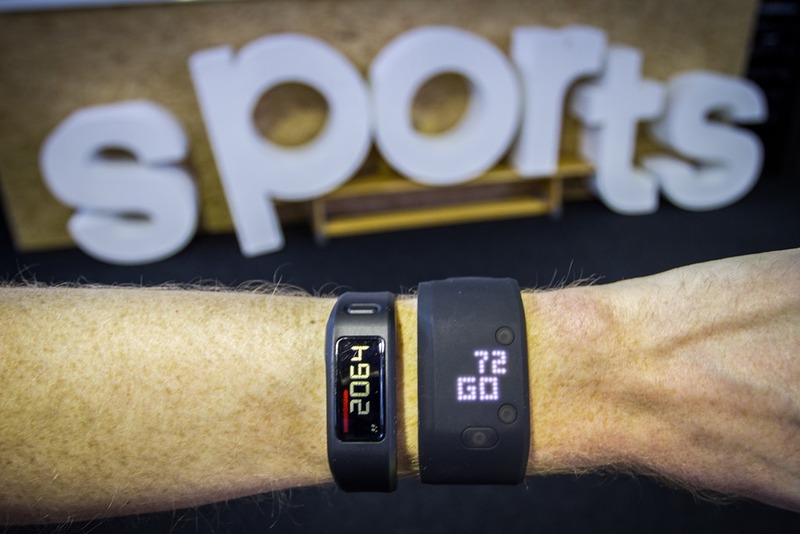 Is fitness tracking anything more than a fad? I see no one using the devices. The newer HR readers can enticr those of us who find either the chest strap uncomfortable or forget it most of the time. 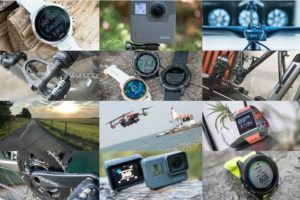 No one using activity monitors or no one using GPS watches? Well I was all for it until it said it doesnt do daily fitness monitoring. I have my Ambit 2 and my Mio Link that i take with my on my runs, bike rides, and hikes and i love them together (tho i wish suunto would just add mio optical HR in one of their watches). I need a daily fitness band. Ive had fitbits, jawbones and others but they just lack what I really want. I guess I want a display, and HR when I am doing something active so I can see it. Ray, it seems like it would be pretty easy for them to add in daily steps, and interval HR (if you want). Do you thnk theyll add it in? Wrist accelerometer for running pace, instead of a footpod? Does that work well? When it is using the 3rd mode in conjunction with the phone for the phone’s GPS, will it display the distance and pace data from the phone on the band, i.e. act like the Magellan Echo but have optical HR monitoring. but then why wouldn’t you use the GPS on the phone? Yes, it will display the distance/pace from the phone. So yes, sorta like Echo. Garmin and Suunto are in my opinion both in the same situation as Polar. I wouldn’t bet on any of them surviving for another 5 years unless they really turn their business around. 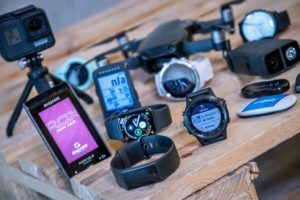 I don’t dispute Havard’s point that the next five years could bring significant competition to Garmin fitness devices. But I also don’t think that really brings into question Garmin’s survival as a company, since fitness products are only one of Garmin’s business segments. In fact, of five business segments, fitness accounted for only 14% of Garmin’s total revenue in 2013. Reading that post, I actually don’t disagree with many of the items he author notes with respect to Polar history over the last few years (or even their website). However, at the end of the day making an assumption about an unreleased/unannounced product (iWatch) by a company (Apple) that has no experience in the space is lofty. And don’t get me wrong, I think Apple could do some tremendous things. But everything to date released by them with Healthkit doesn’t actually show a Garmin competitor (Google shows that), but rather, a medical focus. Garmin have a war-chest full of cash. They will be here in 5 years time. There are SO many people with Garmin wrist devices, even if only 25% of them buy a new one in the next 5 years they’ll be quids/dollars-in. Whether or not someone else will become the market leader is another question; with the price of this Adidas device being HIGH and with it, to me, being all-but the same as the MIO Link (despite Ray describing it as “very unique for this segment”…you’ll have to edit that 🙂 ), then I can’t see Adidas being that new market-leading company. It is indeed ‘unique’ in terms of there’s actually no product like it. Whether or not that uniqueness will sell is something I question. War chests full of cash are always good to have, but companies with that much cash usually also have very high burn rates. And think about it, no matter which manufacturer delivers the “new” watch, be it Aamsung, Apple or LG, why would anyone buy the clunky old nokia-watch of Polar, Garmin or Suunto? 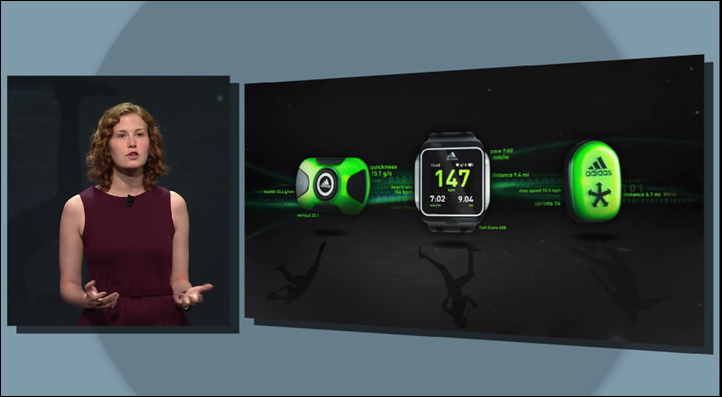 The one thing that is for sure is that the new watch will support Apps. This means that the watch manufacutrer won’t need to be “into” fitness in order for their watch to win the market. They will be into speccing their hardware to attract app developers, and their market is so much bigger than only fitness, that they can afford to spend a lot of money on this. Neither Garmin nor Polar are programmable watches. Garmin even went so far as to start charging for access to their API. Garmin will thus need to rely on their own staff and their own hardware engineers to win the contest amongst all providers of fitness gear. A single glance at the Fenix 2 forums over at Garmin’s indicate that their programmers aren’t remotely up to that task. They’ll try, and they’ll try, and they’ll reverse their strategy and open up, and then they’ll spend a year or two catching up with the specs and functionality of the smart watches, but they will always be too late, because at that point everyone who writes quality fitness software have already settled in with the smart watch manufacturers. I wrote that post. In part because I am deeply fascinated by disruptive innovation and how market leading companies that experience disruptive pressure at a fundamental level tend to lose their position as market leader. 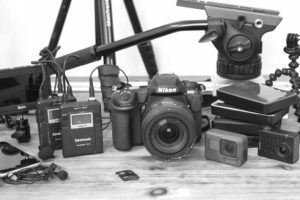 In part because I dabble in “making” and have built lots of gadgets that only a few years ago would not have been within my reach. (This is relevant because if someone like me, who doesn’t know what he is doing, can make all this stuff, then surely someone much smarter than me with lots more resources can do much more much faster. These are really interesting times since so much technology is so available at such a low price to so many people — people with brains and creativity). And in part because when Apple have put their mind to disrupting an established business in the past they have succeeded in redefining entire fields (personal computer, music player, mobile phones, tablets — and more subtly: de-cluttered product lines, which is completely contrary to the obsession with overly segmented product lines of most mature companies). When I have faith in Apple, and others, managing to out-innovate the incumbents to the point where they go extinct or lose their dominant position, this is based on (at least) the past 100 years of business history. Pens, locomotives, desktop calculators — none of the dominant incumbents of old maintained their market position as their technologies were subjected to intense, fundamental disruptive pressures. The number of companies that have managed to maintain their market position is, historically speaking, very low. Apple in particular has a proven track record in moving the goal posts. Just look at how they completely changed mobile telephones. And mind you, mobile telephones was a *hard* market to enter. It is heavily regulated by government, telcos were *really* powerful to the point where they could dictate phone features, and the industry as a whole is a complete and utter nightmare from a complexity point of view. Complexity and the almost tragic way these people design and implement “standards” (everyone gets their own!). In comparison: fitness devices is like shooting fish in a barrell. They only need to make devices that are better. 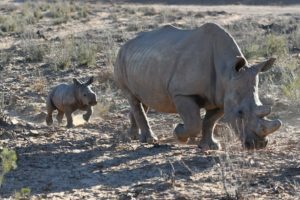 Besides: they are making an ecosystem play – something Polar can’t do in a month of sundays because they simply do not understand how. Taken to the extreme: I have faith in anyone coming from outside the established industry. The reason is simple: if they had been capable they would have shown it by now. When the new kids enter, Polar, and possibly Garmin (I haven’t looked at them) will be in catchup mode. Looking at the mobile industry is instructive. Which of the dominant players from 10 years ago are anything but mere shadows of themselves now? And not to belabor the point, but mobile phones was *hard*. Fitness hardware is comparatively easy. I agree, eco system is of vital importance in developing these kinds of products and maybe some additional information from a user could be of interest to you.. After doing a lot of comparison I decided to us the Polar Loop and recently V800 and my experience is that Polar provides with Polar Flow a 100% ecosystem which is quite unique and fun to use. 24/7 seamless activity data combined with heartrate in 1 device, free Apps to analyse on my smartphone and online platform where I, in my case my trainer, uploads routes and trainings on distance to my wrist device. All data is synced automatically via bluetooth. Next to this I can automatically train with online systems in the gym and retain data in my own account which is, as far as I know, not available in any product from an other company, And above all, I swim also and this is also not a limitation whatsoever. Of course there is always the matter of taste but ‘not understanding ecosystem’ does not seem to be justified…. I’m guessing/hoping that this works like previous micoach products where the unit works both in standalone mode as well as in conjunction with another device. I have the adidas speed_cell and it works by itself to track my (non-running) activities as well as being an ANT+ footpod for my Garmin running watch. Yes, see the three modes up above in the ‘Basics’ section. Looks cool but for the price with no gps (or activity monitor) I think it’s a DOA. Like Ray said, for that price you can get two devices. Given everything else with the watch, er device, a five hour battery life is pretty useless (even without GPS). I can’t figure out who they think their target market is at $199? Awfully expensive heart rate monitor. No GPS nor activity monitor with only 5 hours battery for $199, i’ll pass. yep +1, I totally agree. Even if it had a data storage mode that could upload later (rather than stream) then that would be good enough for me on some occasions to use it. I think the only real point of these devices is for women (or men) who can’t or don’t want to wear a chest strap. & then to use this device as a simply a HR wrist-strap. But then that should be $60 not $200. Not exactly on topic for the adidas product. It’s interesting to see Motorola on the list of companies partnered in Google Fit. As far as I know, the Motoactv is/was the only Motorola fitness device. So I’m very curious as to what this means for the future. I find it hard to believe that after all this time, they would push an update for the Motoactv. So I’ll have to assume one of two things. Either they may have plans to release a new fitness device, (whether it be an activity tracker or another GPS sports watch), or, they are planning to update the motoactv site to integrate with Google’s API. Honestly, I’m hoping for both. This would be a great for people like me who still use the now 3 year old Motoactv. Adding some new life to the Motoactv site would be fantastic. 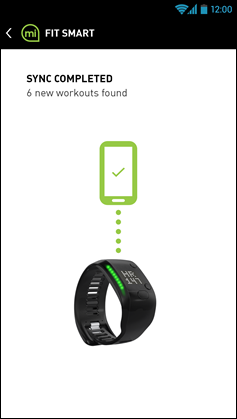 Thanks for this first initial review on the “Fit Smart” as it seems again a new Smart Fitness Device from Adidas. I think it can be seen as a valid successor for the micoach PACER and has enough important fitness functionality for most runners! 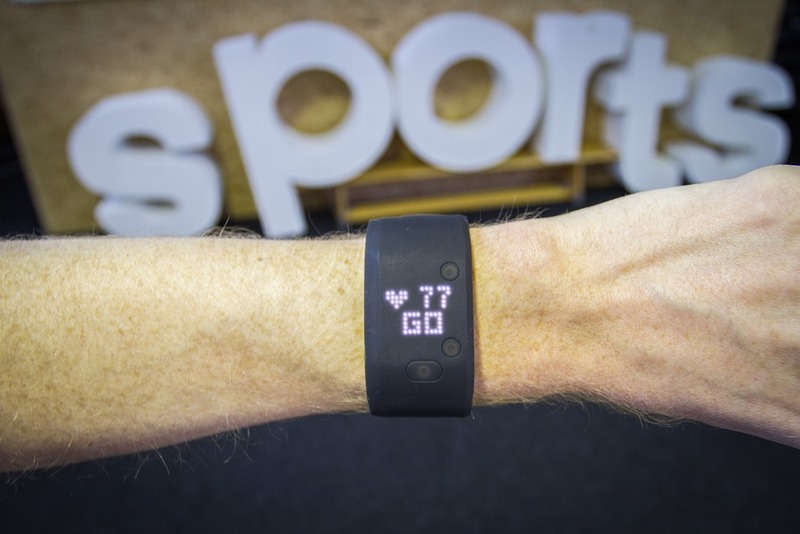 This looks frustratingly like it has the same problem I’ve been complaining about since the first miCoach. Way back when I got the miCoach Pacer, I was frustrated that the voice coaching congratulated you in running in something like “green zone” but would only tell you’d fallen out of your zone after you’d done it. I wanted a warning when you were approaching the edge of the zone so you’d know if you were “high green” or “low green”. They could’ve done that with the Smart Run but didn’t. I’d hope that the Fit Smart LEDs would indicate where you are in the zone by perhaps only the top LEDs being lit up green when you’re high green, mid when your mid, an low when you’re low green. But looking at the pics above, it looks like they’re not doing that so if you want to run in you’re zone, you’re back to memorizing your hr zones so you can adjust your speed before you leave your zone. I do not own any Adidas product but I do use the Micoach app on Android. I’m a new runner (began a little more than one year ago) but I had tried many times without success (meaning I couldn”t breathe well, I didn’t know anything about finding a nice pace, nothing about zones or whatever). 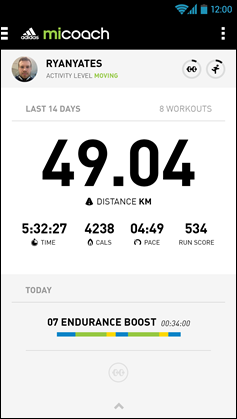 The Micoach app is really great for people like me because of its well-made training plans, with hearphone feedback, all this for free: I would never had succeeded in running without it. Besides it keeps me motivated enough while running. I know of no other app like this one (although is has plenty of problems, even bugs, and Adidas is not very good at designing an “experience” w.r.t. some competitors). All this to say that one interest of the Fit Smart, or of the Mio Link, is that it is a simple gear to sync with the phone (anyway, you have to carry it to run following the training plan) and use Micoach. So this is not an activity tracker, and neither a running GPS watch. What is the target market segment for this product exactly? Did someone at Adidas tought about who is the potential customer for a product like this? It’s look like over price mio link clone. Adidas already has gps smart watch. I appreciate the preview and agree with your points about major companies in this space. I’ve grown a little weary of the Kickstarter and Indiegogo bunch that release some great concepts but only to fizzle out. Having an established platform is a real value and some of these startups just don’t the scale. What I like about the Adidas Fit Smart is the integration with Mio. I think this looks promising and I feel Adidas might be on the right track. They’ve had the opprotunity to see the activity tracker market play out. Will this send HR and cadence data to a Bluetooth enabled device say the Polar V800? No, it does not at this time. Do note however that the V800 doesn’t actually do that, despite marketing claims. It will only do that for Polar-branded devices, and even then it doesn’t work half the time. 1. Apparently it doesn’t work for everyone (80% was what I remember). How you find out (in a world of on-line purchasing) if it works for you I don’t know – but 20% returns would be painful. 2. For the optical sensor to work, the strap needs to be quite tight. I hate having my watch strap tight. It depends on the sensors used and the strap design quite a bit. I’d say the percentage is probably closer to 90-95% for good-quality sensors. My experiences with the optical heart rate sensor of the micoach devices Smart Run and Fit Smart are very positive. When I compare my results with the classical heart rate strap around the chest I find very similar values. Except in the beginning of a workout there might be a difference but that is quite normal. Normally you first have to do some warming up before starting to measure! But you are right, unfortunately for some people this way of hr measuring with the optical sensor does not work. But if it does it feels great not having to wear the strap. Sorry forgot to mention, the Fit Smart feels extremely comfortable around the wrist even when is tighten very strong. I had the Mio Link for a few days. It worked, but it would go to 150 BPM when it should have been 95 BPM into a 30 min power walk. I readjusted, dried my wrist and could do nothing to correct. This is at night and in about 10 min it returned to normal. I liked the product except wondered about the longevity of the LED assembly ability to remain sealed against moisture. I did not like the way it was mounted in the rubber wrist band as after every activity it would have to be removed and dried out… but, that’s just me. I put a Scosche RHYTHM+ in my cart on CT, but haven’t Checked Out. It took a while for folks to post their problems with the Mio and as I was reading all the posts a while ago I couldn’t believe I was the only one that was having problems. I hope it works on this Adidas! 3 atm does not translate in 30 metres depth. It is only 20 m, as you have to add 1 atm pressure of the normal environment. So in 10 m you have 2 atm pressure load on the band and in 20 m you reach 3 atm. But that is in fact an academic question as I won’t ever go on a dive with it. It makes sense to leverage the phone as the hub. I think most people have their phone with them at all times while training, except the pool of course. While it provides GPS data, what a phone doesn’t do is heart rate and convenience. So a device that sends HR to the phone and acts as a “head up” display of other data from the phone like distance, pace, etc. would be very appealing and a low cost comprehensive solution that leverages all the power of the phone you already have. It sounds like that is what Adidas is doing in this product???? Price seems steep though for a “dumb terminal” so to speak. I constantly ask myself why I buy devices that my phone already can do and it’s lack if HRM and convenient display. 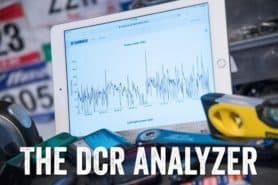 Are there alternative optical HRMs providing the data display from a phone?? Glad to see there aren’t any problems with the sensor. Scosche Rhythm+ has an advanced optical sensor and it has a larger antenna so no problems with transmission. I pretty much know what level I am at when I jog and Runkeeper with a Polar HRM strap is enough, but then I am not an athlete… just tracking what I do when I run the neighborhood. 🙂 Event though Runkeeper does not run on Windows Phone and MiCoach only works with the Adidas HRM, after the update, I prefer Runkeeper. It’s simple and it works without dropping the HRM. 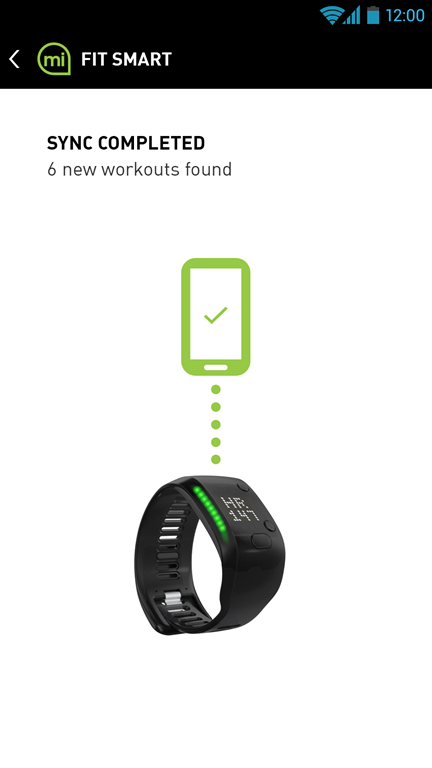 MiCoach would drop the Polar HRM all the time and sometimes never reconnect using an HTC One M8. The device seems perfect to me too, if it works. I would be using it for jogging or running with the main interest being the ability to see heart rate during the activity. The biggest problem I’ve had with the chest bands that connect to either a watch or my phone is that I enjoy using bluetooth necklace earphones and there is always a problem with using both bluetooth devices at the same time. For the chest strap to work, I had to keep my wrist at my chest for the monitoring to work. Since I already use my phone and Map my Run for the mapping and distance anyway, this Fit Smart would appear to be my best bet — so long as there wasn’t a problem with the Fit Smart interfering with the bluetooth signal to the ears. There was no mention of bluetooth in the article, is that involved? If it isn’t transmitting signal to the phone during the activity, I’d guess not. Am I correct? It looks good to me too. Despite being a fairly serious runner (sub-3 hour marathon), I don’t really care for GPS and use an old Garmin FR60 with HRM strap and footpod. This device, assuming the calibration can be made accurate and precise, would roll all those three into one package. I’m looking forward to the full review. Although another possible issue for me would be that I don’t own a Bluetooth Smart mobile phone. Does the device sync over the cradle with a desktop? Did you try that smart fit device with another ios App, like cyclemeter or strava? They haven’t yet released any API’s that would enable such (nor are they doing re-broadcasting). Correction, not yet a device API, but an open API to the micoach platform to get user data stored on the micoach online database. I picked this up and and got both Strava and Map my ride to pick up HR from unit. It needs pairing in micoach ios app first but it’s straight forward enough. I will see how it works on a long ride at the weekend but can’t see why it won’t work well. There is definitely a niche for this product for existing micoach users who want a HR monitor given the use mio sensor over a strap and link to coaching plans. Problem for adidas is there may not be enough of a market in the niche. Does the Fit Smart have an option to upload and configure via the dock rather than over Bluetooth 4.0? No, only via bluetooth 4, no usb dock craddle. Setup and sync process of workout data or upload of workout can be done via the micoach app running on a compatible smart device having BLTE Smart (version 4). 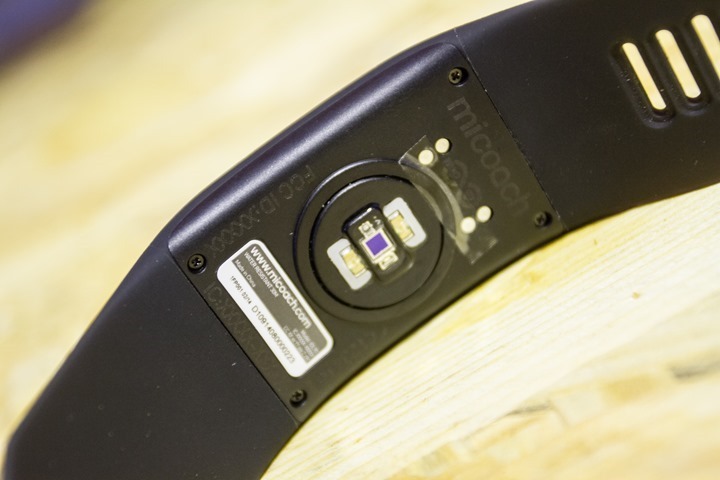 My first impression regarding the miCoach Fit Smart and concerns. This might be the product I’ve been waiting for. 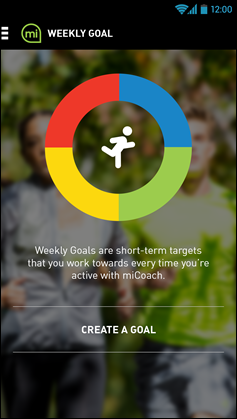 I love the miCoach training plans – have been using for four years through prepping for nine half marathons. I like the variety of built-in interval runs building to the race date. 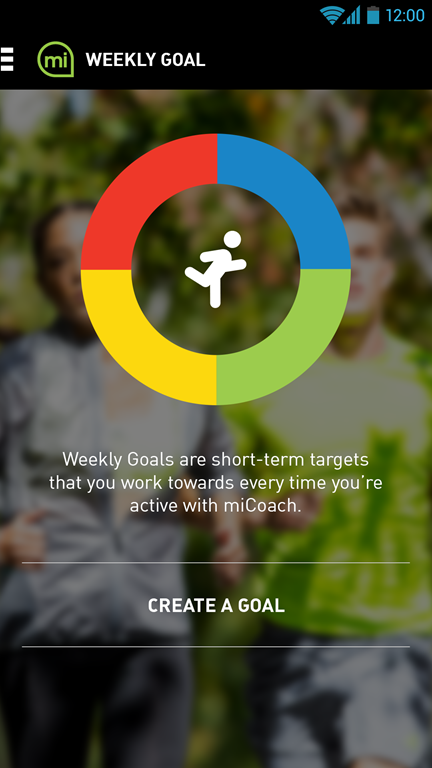 Lately I have stopped using the original miCoach hardware because the iPhone app carries most of the features. It seems like this could provide two upgrades: not having to squint at the phone in my armband to check pace/time, and being better able to track treadmill running – in Miami, there’s a lot of that in the summer. The Fit Smart is indeed a bluetooth 4 compatible device. When you have the micoach app running on a compatible smart device (has to have BLTE 4!) connected to your Fit Smart you can listen to the music of your mp3 player running on your smart device. The micoach app will interrupt the music when it coaches you :). Enjoy further you micoach training! If you use the Fit Smart together with the micoach app running on the smart device, it will use the GPS of the smart device for distance/speed measuring. The music and voice coaching will continue! You can use the Fit Smart standalone to do a free workout or to do a planned workout. But first you need to set it up via the micoach app. If you use the Fit Smart for a planned workout with coaching standalone you’ll get coaching instructions on your display of your watch, if you use it combined with your micoach app you’ll get also audio coaching that will interrupt your music playing on your smart device. Once you have done your workout you’ll need to sync your workout data of your Fit Smart via the micoach app to the micoach online data base where you can further analyze your workout data on PC or any other device running a webbrowser. So you have multiple options to use this new micoach smart device! Also good to know you can use the GPS of your smart device when doing the calibration process of your Fit Smart, but you can also do a manual process to calibrate your Fit Smart. My first observations of a not calibrated Smart Fit watch are 8 a 12% accuracy error, which is quite normal for this kind of measuring sensor, accelerometer, determining speed and distance based on arm movement. The error is compairable to a foot stride sensor, leg/foot movement. I hope I made it a little bit clearer to you how the Fit Smart works and what the options are to use it with or without the micoach app. NO ONE has this. I keep waiting….and waiting. The basis is terrible for actual exercise – hence why it doesn’t hit our need. Everyone keeps dividing things into 2 camps – activity vs. exercise. the garmin vivofit comes close, but you have to have the chest strap – someone do the garmin vivofit with optical!! FYI: off the table is carrying my phone with me when I work out – not an acceptable substitute!! Also – another nice feature for the backend software — give me a way to compare workouts so I can see trending over time! let me see how I’m doing now vs 2 months ago vs. a year ago. As far as I know none of the backend software packages have this…. I do know that at least one aftermarket app has this, but I don’t *think* any backend system can do this (I know garmin and suunto can’t). Hello, DC Rainmaker! I noticed that you have the garmin activity tracker next to the smart fit watch. I would like to know if you cut the fit smart HRM on the watch, would your garmin activity tracker pick it up like a chest strap HRM? If so, I would buy it just to use it with my polar loop. I’m tired of the hassle with the H7 staying synced. Thank you. Sorry, I’m not entirely sure I understand. Do you mean cutting the optical sensor out of the Fit Smart? No not cutting it out? Put your garmin activity tracker on and the smart fit watch on and see if your garmin tracker picks up your heart rate from the fit smart. Do you think it would work? Have you tried it? Thanks a lot for the extensive first impressions of the device. I’m on the edge of buying a Smart Run devide by adidas, tough the appearance of the Smart Fit casts some shadows over my choice. Currently I run using the adidas miCoach app and are very happy with the ecosystem and the training plans they put for free, but I’m looking forward to take my trainings a bit farther with the use of a Heart rate monitor such the one included in both devices. Do you recommend the acquisition of the Smart Run over the Smart Fit? I mean in terms of functionality or battery autonomy. I really like the Smart Run and the fact that includes all those sensors, but lately comes to my mind the fact that with Android Wear devices, maybe I could get the same functionalities in a device that’s not only sport exclusive. I’ve a Samsung Gear Neo2 and it works like this with the grenn light under the clock but it’s not very accurate when i’m running, for ex. i’ve 150 bpm amd it say 175???? Yeah, unfortunately in short the sensor used in the Samsung devices is complete crap. You can see a bit about that in my Samsung Gear Fit review, which uses the same sensors. Note that the Adidas uses entirely different sensors (Mio Link), and are lightyears better. Question — Has there been any activity trackers that can do continuous heart rate monitoring without a chest strap, and also be used accurately for exercise? Do you see anything on the horizon that may do most of this? 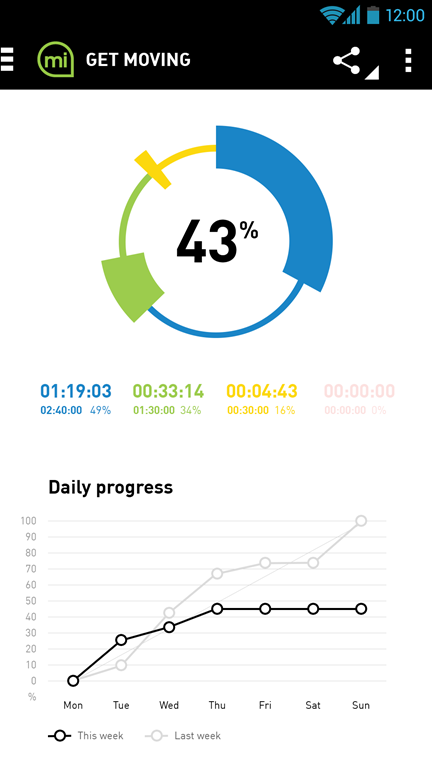 I’d love to be able to track daily activity in the same ecosystem as actual runs/gym work. Anything close? Wearing a chest strap all day is really not a great option it seems. Nothing that has optical, an activity tracker, and then GPS for outdoor. The closest might be the Mio Fuse, which does the first two, and then some basic stuff for running, but that’s still on the radar for this fall. Even without the GPS – maybe the ability to get a pod…for me the key would be heart rate tracking in the day optically with activity, and then hr tracking optically when I go work out. I can see a lot of gym people wanting something like this. I know people bought the Basis thinking it could do this and were really let down. I also was reading your newest review on the M400 – that seems like it might be close… aside from the optical aspect. Thank you for the response!! Is it possible to view the duration of your workout while in a workout mode? Yes you can, in fact you can monitor 2 metrics per screen. Next to workout time also HR, average lap pace, distance, speed/pace,… In fact all basic metrics most runners need during a workout. With the 2 buttons (up/down) right side of the watch you can switch between the different metrics to be displayed. Also you get zone indication by the left side leds (blue, green, yellow or red) depending the PACE/HR that match to your coaching zones. I’m a bit torn here – I used to run a bit until I got injured a few years ago, and am finally ready to get back out there and (slowly) give it another go. I was using the micoach pacer, but I tried using it on my first run yesterday, and it died on me completely (not great surprise given its age). I do love the training system adidas have setup with micoach, and want to use it in slowly building myself back up, but don’t want to carry my phone with me when running, so was excited to see this and the watch. The problems are I want to give standard activity tracking a go in combination with micoach, and these devices are already on the expensive side without having to buy a Fitbit/Jawbone like device also. I’m drawn to the feature set of the Fitbit Charge HR or Surge (pending your review on performance of these devices), but then it doesn’t have anything like the micoach training. 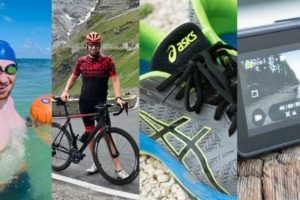 If adidas could produce a hybrid daily activity tracking plus coaching device it would be a winner for me – for now I’m a little lost in what to get, and without breaking the bank. Leaning towards the Mio Fuse but then I saw this a potential option. I like that both this and the Fuse are wrist and have the heart rate zone options. The activity tracking is a nice option but I dont really care about how many steps or my sleep patterns and if it does go full “smart phone” then whats the point of having anything (ala the Fitbit Charge HR ). I kind of liked the smart phone options of the Moto 360 but the fitness aspects didnt seem to be there. 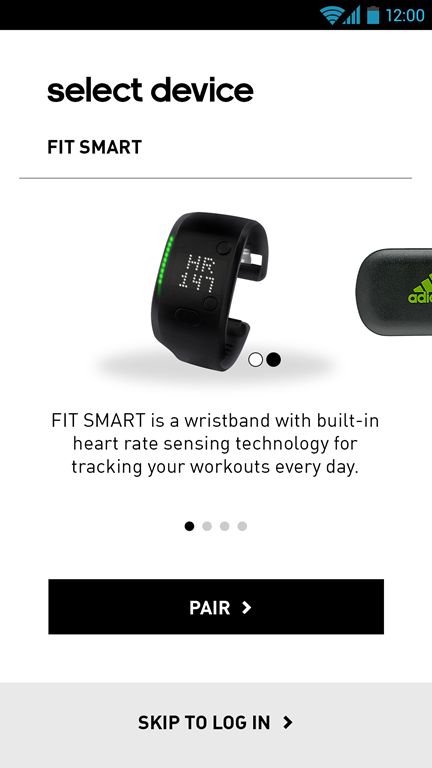 So if all things being equal Fuse or Adidas Smart fit? Well, there are different uses for the device. I was searching for a gadget that could be a watch and also a heart rate sensor. That is a very beautiful device. It’s awful when you buy a heart rate sensor but has to use it with the strap. Also you can use it everywhere and people will notice it as an interesting thing you are wearing. For them you are using a very unique watch, but for you there’ s more in it then it shows. Nice. I bought the Smart Run years ago (in part based on the review here) and have loved it ever since. I’m still amazed there just aren’t many devices out there that have it all: GPS, Heart Rate (no strap), and MP3 player. Those are all must haves for me. I know the Apple Watch does it but no interest in that as I’m an Android person. I think the Smart Run was (and perhaps still is) ahead of its time. They seem to have worked out the GPS issues with the firmware updates. Battery life still isn’t the greatest but luckily I’m not running a marathon (yet). Battery life time comes under serious stress when offering all functions. Especially the BT music streaming keeps consuming a lot of power. The Smart Run will do for 3h15 max when all functions are enabled. Without MP3 BT the battery will last for 5 a 7 hours. So for long runs you can use the music function but for a mara race you need to manage to do your finishing time under 3h15. Anyway is remains remarkable battery technology can’t give fast enough an answer when it comes to these smart watches and extending battery lifetime to more than 8 hours. 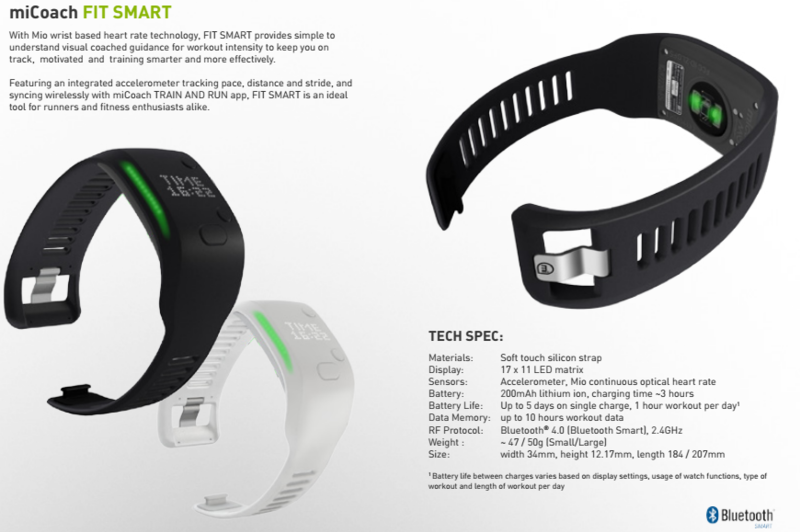 The Fit Smart has become recently a true Activity Tracker as well! Hey DC do you think you could do a review on it now since it has activity tracking? Also the Mi Coach app has been updated as well. I think people should know about there products. They have definitely motivated myself that’s for sure! Do anyone know how I can connect the Micoach Fitsmart to the Garmin Forerunner 230 (so heart rate shows on the 230)? The Mio Fuse does it easily.